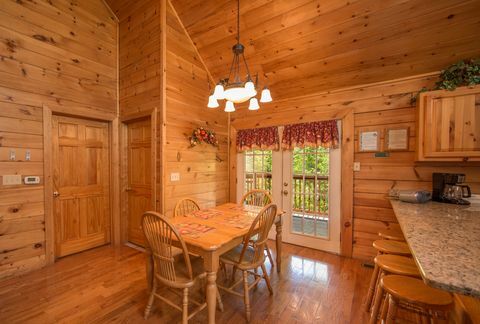 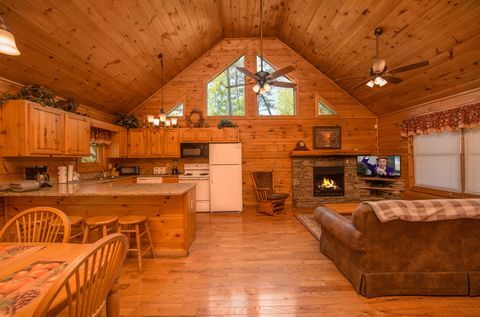 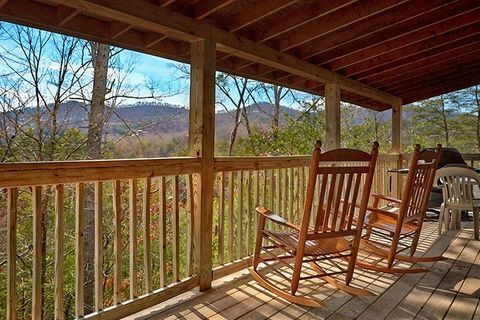 "Almost Heaven," an affordable luxury 2 bedroom cabin rental near Gatlinburg in Arrowhead Resort, places guests less than 5 minutes off the main Pigeon Forge Parkway lined with endless opportunities for adventure in the Tennessee Smoky Mountains. 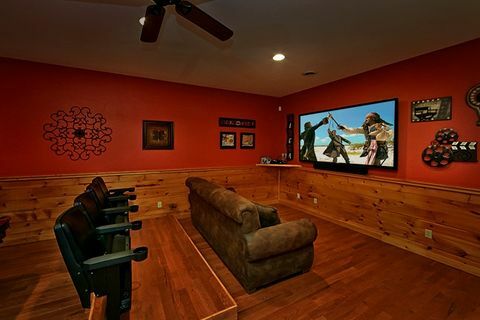 This theater room cabin features an 80-inch Smart TV with the latest in surround-sound technology that provides a fantastic private movie viewing experience for you and your family! 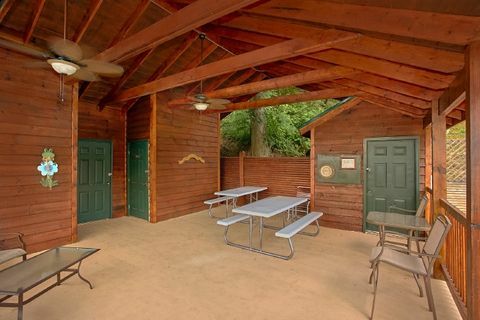 Arrowhead Resort features a lovely resort pool with covered picnic tables for days spent with the family in the sun. 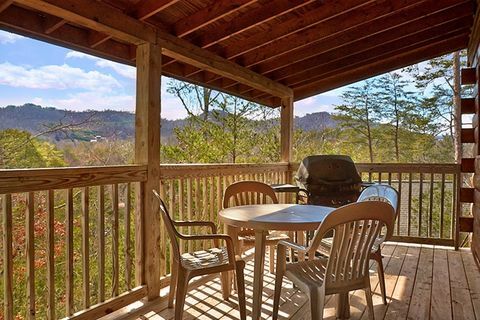 There's also plenty of space to enjoy the outdoors with your cabin's covered deck that features a hot tub for relaxing and a gas grill for cookouts in the Smokies! 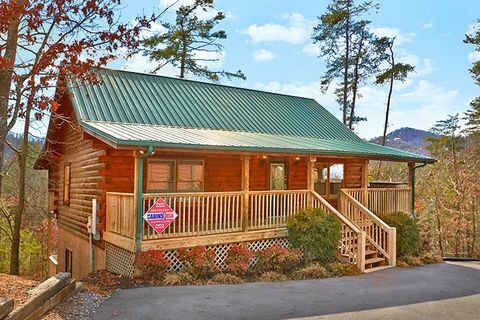 While there are plenty of attractions in nearby Pigeon Forge, your cabin also offers guests plenty of entertainment options as well. 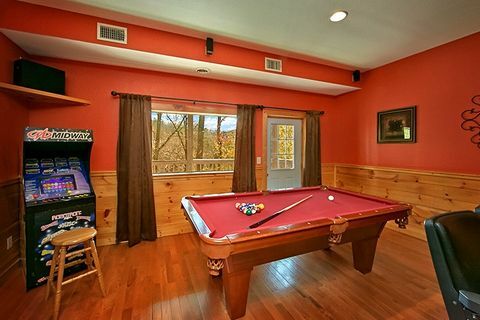 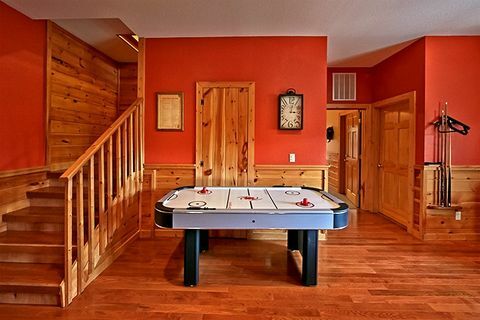 Enjoy some in-cabin fun with a few games of pool, some air hockey, or beat the high score on the game room’s standing arcade game. 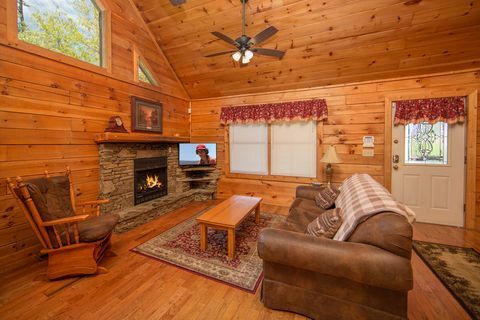 During the winter months, the cabin’s gas log fireplace is a great place to huddle together with hot chocolate and a movie. 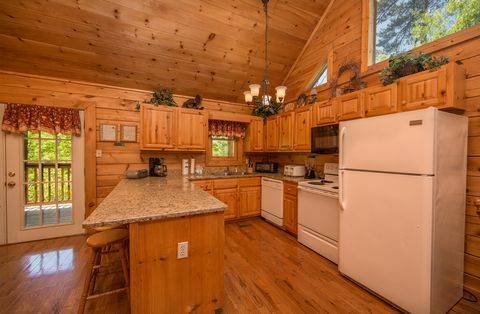 Your cabin also features practical amenities, such as a full-kitchen and washer and dryer, that allow guests to enjoy comfortable, convenient cabin stay. 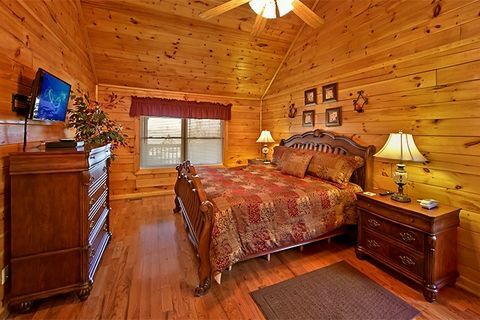 When its finally time to rest up for the next day of adventure, this cabin rental features 2 bedrooms with expansive king-size beds. 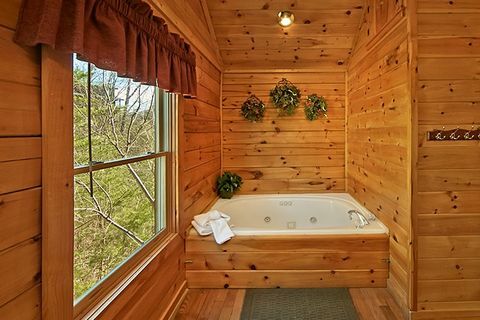 You can also indulge in a spa night with the master suite's relaxing jacuzzi tub. 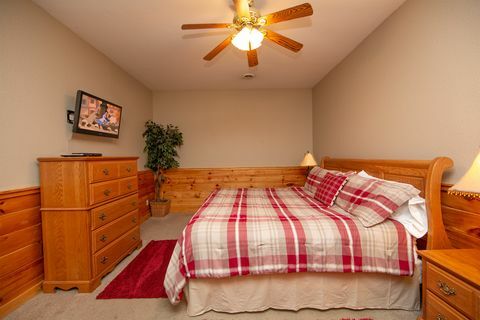 An additional two queen sofa sleepers add room for up to 8 guests. 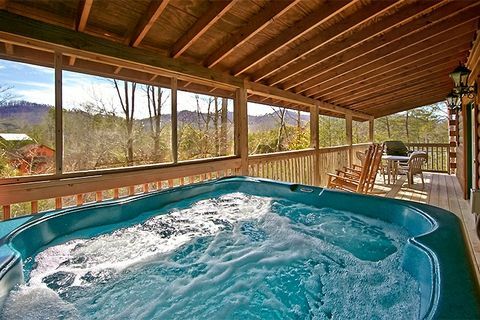 Come enjoy an unforgettable vacation at this cabin rental near Gatlinburg in Arrowhead Resort! 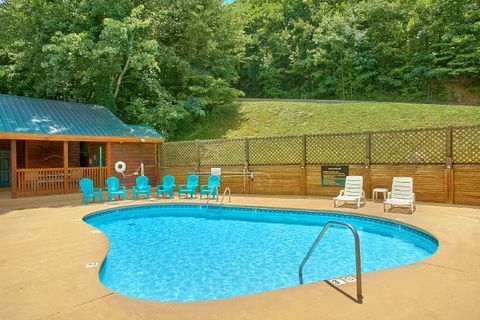 Book "Almost Heaven" today and you'll enjoy a 15% online booking discount.